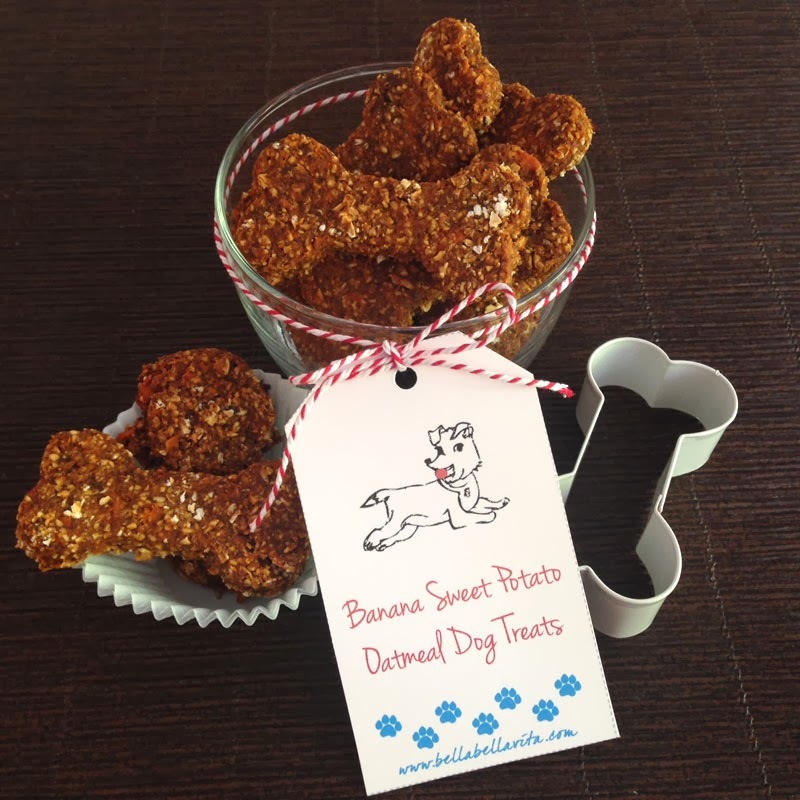 Sharing a new dog treat recipe I created yesterday - Banana, Sweet Potato & Oatmeal Dog Treats. They are gluten-free and packed with lots of vitamins and fiber. I frequently roast diced sweet potatoes and add them to Indigo & Lily's food and they love them. Adding banana to this recipe made them smell wonderful when they came out of the oven and I had to hide them ... Indigo & Lily went bananas over the aroma! By the way, I always taste-test my dog treat recipes and this one I would even eat as a healthy snack ... the banana and sweet potatoes make it just sweet enough! Puree in Cuisinart or mash with fork. Mix all wet ingredients together in a separate bowl with a whisk. Add wet ingredients to dry and stir well with a spatula until mixed. Refrigerate dough for at least 30 minutes (don't skip this step). I grind my own oat flour from gluten free oatmeal, but you can also use Bob's Red Mill Oat Flour.